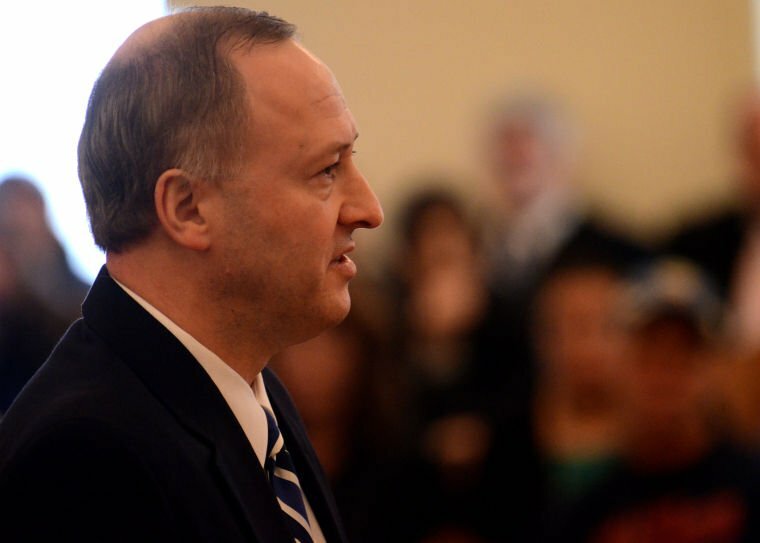 He may have lost the Republican Primary for District Attorney, a contest seen by many as one necessary to contend in November’s general election, but that hasn’t quelled Joe Sapio’s interest in doing what he feels is right for Seneca County. Since the primary, Sapio opened a campaign headquarters on Main St. in Waterloo. He’s continued working throughout the county to garner additional support, and has continued asking questions of his opponent, incumbent District Attorney Barry Porsch. Porsch has remained largely silent, saying in a podcast appearance with FingerLakes1.com that he would let his record stand and speak for itself. The race, which was contentious at best has yet to feature the duo side-by-side in a candidates’ forum or debate. Sapio, who did win Conservative and Independence Party support for November’s election, asked a series of questions in a press release — most of which were directed at his opponent. Sapio contends that Porsch’s felony conviction rate falls below standard. Another concern raised by Sapio in the release revolves around a meeting of the Board of Supervisors, where it was alleged by the legal counsel for Debra Rickerson that Porsch met with the supervisors in executive session. Multiple supervisors denied this claim, as the board has been dealing with multiple Notices of Claim. An incident involving Porsch and Ms. Rickerson resulted in two Notices of Claim being filed against individual parties, and Seneca County. Porsch’s claim asserts that Rickerson overstepped her bounds as an employee within the probation office. Meanwhile, Rickerson’s claim asserts that her name was slandered through Porsch’s claim. The timing of both claims, which presented themselves within weeks of Election Day, further complicated the race. Sapio was critical of the dollar amount featured in Porsch’s Notice of Claim. “It appears [he] is holding the County taxpayer as a hostage during the course of this election. Why not choose $1.00 if it was not about the money,” Sapio said following the release. As of Thursday, October 19th, County Manager John Sheppard said that he wasn’t aware of either Notice of Claim being rescinded. Among the questions outlined Sapio calls into question Porsch’s participation on the Criminal Justice Advisory Board, as well as the Stop DWI committee. Sapio noted that better relationships are necessary between the District Attorney’s Office and varying other arms of law enforcement within Seneca County. Whether it be working with attorneys, probationers, or any other entities — Sapio contends that bias and personal feelings must be set aside.